Any homeowner, home renter, or residential property owner of Rosewood Community may become a member with voting privileges after presenting proof of residency or ownership and a 28 day waiting period. Registration for membership may occur at any RCC meeting or event. Membership is free. What are the boundaries of the organization? 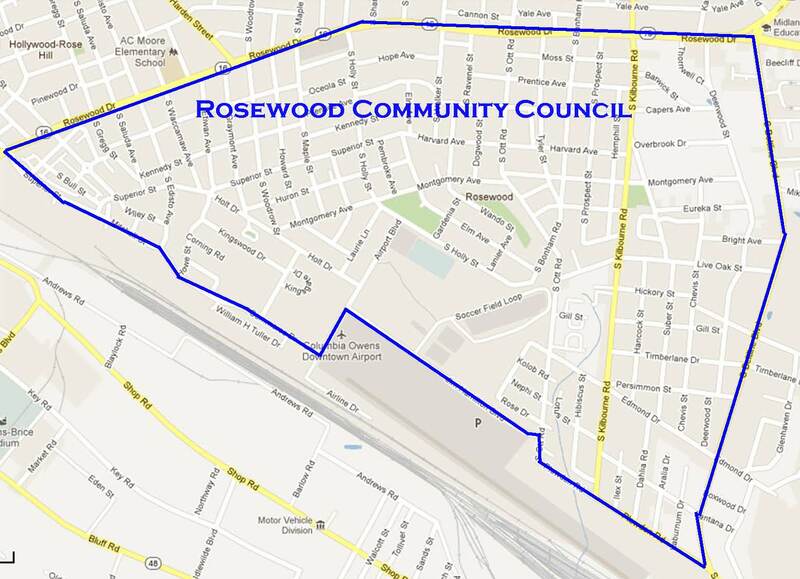 RCC covers the 7,500-person neighborhood south of Rosewood Drive that is commonly referred to as Rosewood. We are also bounded by S. Beltline in the east, Saluda, Mitchell, and Commerce to the west, and Plowden Road to the south. Rosewood Community Council is the umbrella organization that unites four neighborhood associations within Rosewood: Edisto Court, South Waccamaw, Central Rosewood, and South Kilbourne. 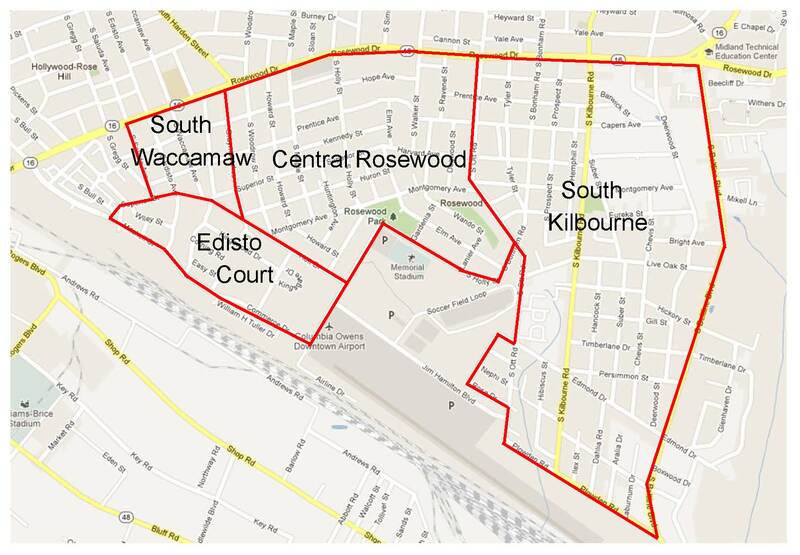 The map below shows the boundaries for those four groups, as recognized by the Columbia Council of Neighborhoods.